Some of Justin's earliest music memories are of him sitting, legs crossed with eyes wide in wonder, at the feet of the likes of Esther Halpern, Mike Miller, and Jackie Pack. As a young lad in the 80s who couldn’t yet say the words “Seeger” or “Guthrie,” these were his Petes and Woodys. These and many other local folk musicians who were the godmothers and godfathers of the Philadelphia Folksong Society taught him the joys of music, singing along, and that anything could be an instrument. Justin started his career with the Philadelphia Folksong Society as Programs Manager over a decade ago (yes, he was the Katie before the Lindsey before Haley before Noah before Joshua before Kyle) and then took a job with a recording studio in Texas, returning annually to Philly from the South for the Philadelphia Folk Festival. It was during one such Festival when a bout of homesickness brought him back to the Philadelphia area, settling back in for good at the very end of 2010. 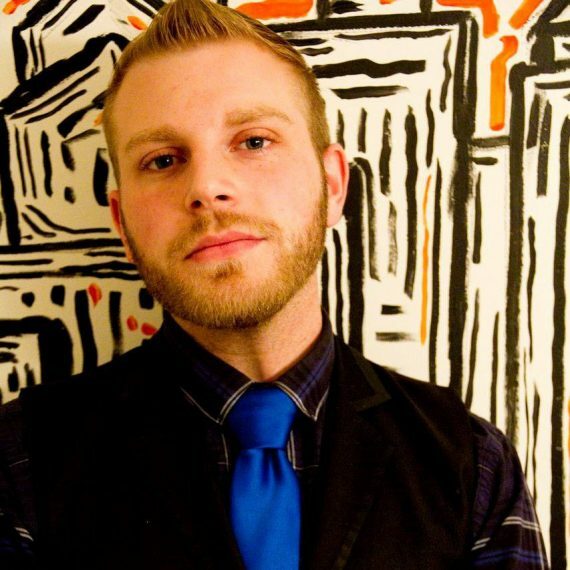 Since returning to Philadelphia, Justin has had the pleasure of working with many major Philadelphia cultural institutions, including the Pennsylvania Ballet, Philadelphia Film Society and Philadelphia Film Festival, Opera Company of Philadelphia, FringeArts, Kimmel Center for the Performing Arts, Prince Music Theater, Academy of Music, and the Merriam Theater. Working with these amazing organizations allowed him to acquire a number of skills, experience, and contacts that he is thrilled to bring back to the Philadelphia Folksong Society. Justin has said it didn't feel as if he was taking on a new job when he became Executive Director... it feels as if he has finally come home. Justin grew up within the Philadelphia Folksong Society and attending the Philadelphia Folk Festival - they are as much a part of him as he is of them. The Philadelphia Folksong Society's office door is always open during business hours and you can reach him anytime you need or want at jnordell@pfs.org or 215.247.1300. Looking forward to seeing you at a PFS event soon!